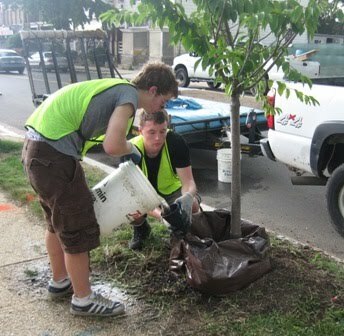 My eight weeks with the 11 hard-charging, dedicated and lively high school students of this year’s Casey Trees' Summer Crew came to a triumphant end Friday. I feel a great sense of accomplishment for myself, the students and Casey Trees as an organization. Summer Crew is all about achieving goals focused on tree care, job responsibility and career development. 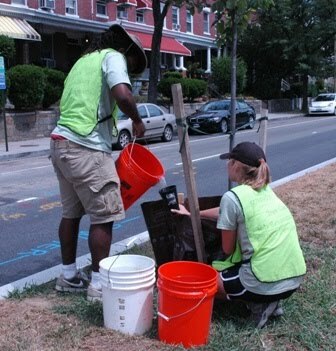 We want to lead students in caring for trees (watering, weeding and mulching) that we have planted within the past three years, train them to show up to work on time and work a full schedule and expose them to different careers in urban forestry. We also set a goal to water 2,500 trees over the eight-week session. When the students reached that goal at the beginning of week five, I could not have been more proud. 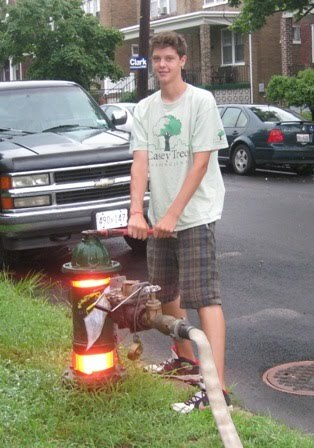 They went on to surpass that goal, watering over 4,500 trees by program end. Another goal, which seemed very pie-in-the-sky at the time, was to water each tree on our list three times. 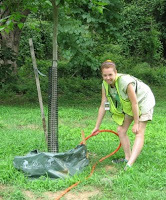 Due to their dedication, each tree was watered four or five times. On the first day of the program we asked each crew member to share their goals for the summer. The students mentioned wanting to do something worthwhile with their time, help out their City, meet new people and learn more about trees and environmentalism. One goal shared by all the students, and one I hope they achieved, was to find a career path or hobby. 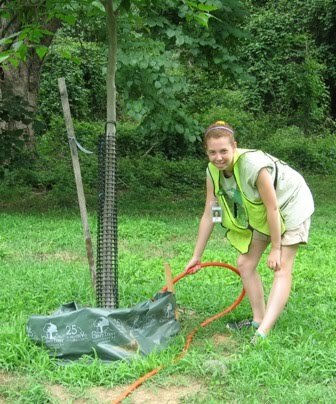 After a summer caring for trees, they’ll never be able to look at our urban forest the same. 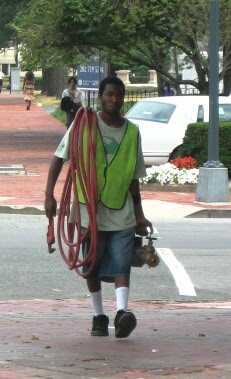 They won’t be able to look down an urban street without thinking, “This street needs more trees,” or “Those tree boxes should be bigger. They won’t be able to visit a park without thinking, “Those young trees really need some water,” or “That picnic area needs some shade.” They won’t be able to visit a home without thinking, “A tree could be planted there… and there… and there.” I hope this experience leads them to careers in forestry and a life-long love for trees. 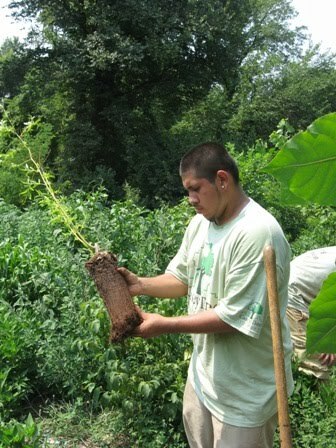 Casey Trees welcomes sponsors for this life-changing program. 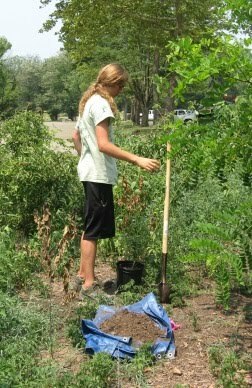 Summer Crew is an opportunity for individuals, groups and businesses to inspire and support the next generation of tree stewards. For more information, click here.